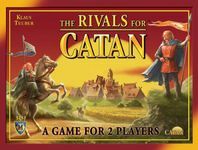 My wife and I have recently been spending a lot of time playing two-player games and are now looking to add more. The "rules" for this Geeklist are only that the games be (edit) playable with two, and should be relatively easy to get into. This is the one that we started with. 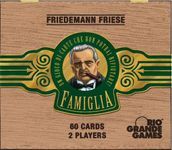 We enjoy it a lot, easy to teach and get into, but lots of depth and replayability. We just picked this one up last week, and we love it. We both enjoy the pace and there's a decent amount of depth. We had played 50+ games of this when we tried Jaipur. We immediately returned to Jambo. Excellent game, beautiful components. Our #1 "one more time" game. Historical game of cat and mouse. Unique (but easy) mechanics. Brain-melting fun goodness for 2P. Two-player abstract, somewhat like chess, where the pieces each have their own rules for movement. "Cambot! Gypsy! Tom Servo! Crooooow!" My wife and I keep an active watch for good two-player games, and this one is among the more enjoyable that we've found. There are currently two expansions for it as well, which add even more replay value to an already variable playing experience. If you both like puzzle games, then this one is a must have. Our favorite 'strictly two-player' game. Usually she beats me at it too. I guess I taught her too well! This one takes some getting used to but we love the Carcassonne series as a whole so we were bound to try this at some point. We love it. It feels familiar yet different enough to be distinctively different that base Carcassonne. Probably our third go to for two-player only games after Fjords and Yinsh (which I won't add since it's already been added). Simple little election game. Options for limited deck building. 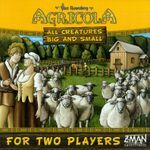 Agricola without all that annoying family feeding. Plus a small table footprint. 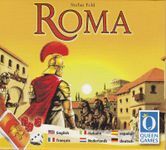 Or Arena: Roma II - you don't need both. 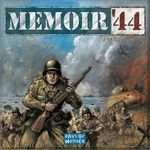 Also Battle Line, Aton, Memoir '44, and Backgammon. My wife and I used to play Lost Cities....then we discovered Battle Line. 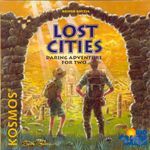 We've not played Lost Cities since. 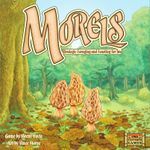 We're pretty fond of Morels as a strictly 2p game. Well, certainly not for everyone, since the theme might not be husband-wifey. But one of the best 2 player games out there. One of my favourite games for two. Lots of bluffing and anticipating the opponent - the closest you can get to another person with all your clothes on. Very simple rules, but very replayable - it supports a tournament scene. I'd been on a hunt for good 2p only games. Found most of what was mentioned on this list. But I was recommended to give Revolver a try. And we did. Was easy to teach my partner too! Abstract strategy game that involves each player secretly assigning cards numbered 1 - 4 to a set of 4 actions. The numbers on the cards determine player order, where on the board you are allowed to add or remove wooden discs, and how many discs you are allowed to add or remove. Each area of the board has its own rules for scoring points. Easy to learn, easy to play, but definitely a lot to think about when you are assigning your cards. 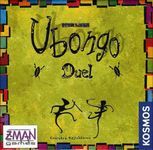 Very good two-player game (but up to six players if needed), an immense number of addons which can very the game from friendly to aggressive, and make it more or less complex. Having lots of fun just the two of us, but also playable with kids (6+ years of age). We got over 20 addons and it never gets bored, can customize it to our need in terms of time and complexity. Great fun, recommend to all! A nice and cheap 2p card game that fits anywhere. This one was actually chosen by my wife when we were visiting a FLGS in Seattle, and it was a nice addition to our collection. 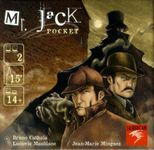 The name may suggest it's simply a "travel-size" edition of Mr. Jack, but it is actually a different game.